Bernard Cheong Doctor Watches Life: The importance of understanding design, eclectic and my dream chair arrives! The importance of understanding design, eclectic and my dream chair arrives! Many who have not known me in my early years, as a young person, aged 20...will not understand how I attained sucess. Envy is the proper and deserved reaction, although I prefer not. But I think it was my eye for the special, and the acess to very influencial friends. Happiness is the acquisition of a rare piece! 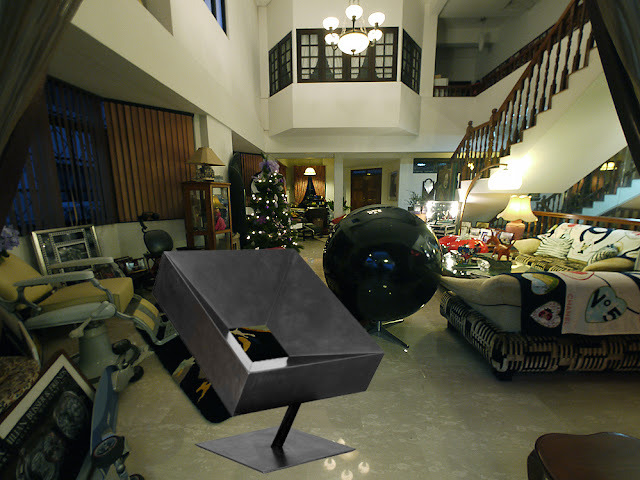 I guess this was another piece of "chair" that the average Singaporean thought was UGLY. But it was relevant...and it was, to me, certainly important in its visual and dimensional messages.